Today’s post is by Tom Crowley. I’ve really dug myself into a hole here. 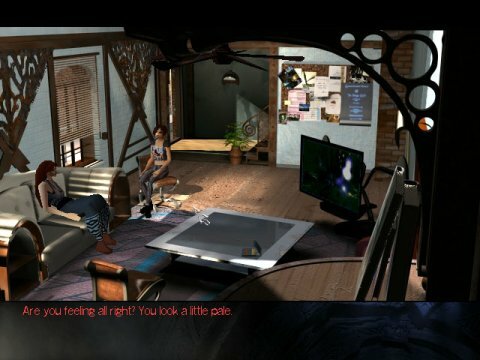 All I had to do was pick a computer game to write about in a heartfelt but vaguely amusing way for up-to-but-not-including a thousand words and I had to choose The Longest Journey, about which unsurprisingly there is far, far too much to say. Ask me to describe this game in real life sometime and see a man say a lot of seemingly unrelated words in sequence and wave his hands around. Ah, well. When it comes to retrospectives, we can all be clever with hindsight. Luckily, the game is good at speaking for itself. Every line of dialogue in the game is laced through with the flippant, self-effacing, unassuming tone which characterises Ragnar Tornquist’s script, which is lucky considering how much talking there is in this game. You can hardly see the forest for the dialogue trees. There’s a library where you can listen to a lecture on the world’s mythology. This is optional and you can happily skip past it if you want. The funny thing is, you won’t. As an aside, one interesting thing I found out while researching the making of the game was that the title is taken from a quote by former UN Secretary General Dag Hammarskjöld: “The longest journey is the journey inward, for he who has chosen his destiny has started upon his quest for the source of his being,” which would be brilliantly appropriate and quite interesting to share with you, but there simply isn’t space. Now back to work. What am I doing? Why haven’t I even begun to talk about the incredibly well-drawn protagonist, art student April Ryan? Or more broadly about how successful the story is from a feminist reading, without ever drawing attention to itself? 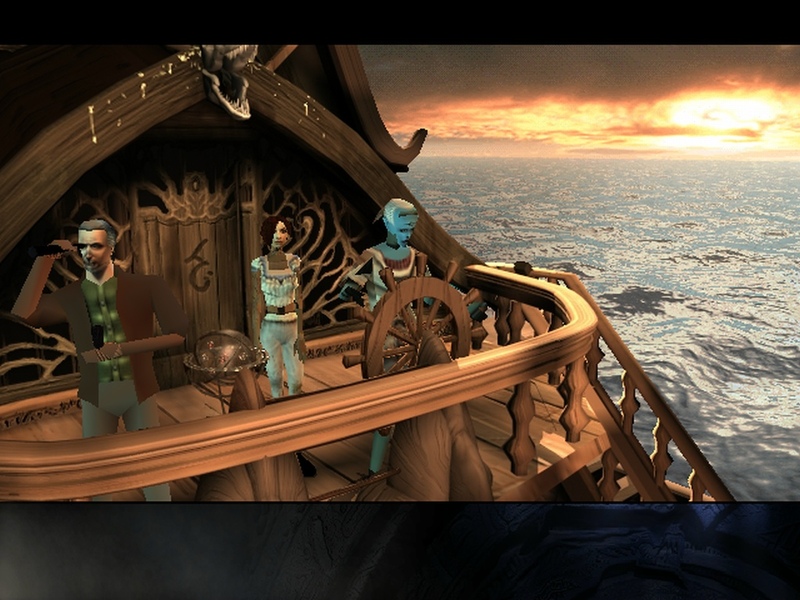 The game appears to have been posted through the dimensional letterbox from a utopian parallel world where having a totally ordinary young woman as a leading character in a game is a tediously familiar concept. Why even bother to draw attention to it, you pig. Sometimes tough, sometimes put-upon, sometimes surprising herself, sometimes wearily failing to surprise herself, April is a lot like what real people are like. She’s also surrounded by a cast of some of the greatest secondary characters ever hastily sketched out across a few fleeting lines of dialogue. Everybody wants something or is going somewhere or never wants to go somewhere again. Their little moments in the limelight have been lent depth and importance by a caring development team and it shows in the way that each of them serves to enrich the world around them. 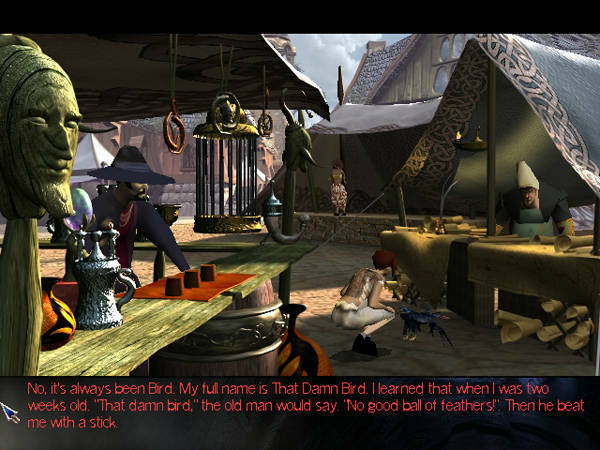 Even the wisecracking talking crow is good. Is that even possible? The primitive 3D models even seem to transcend the ravages of time. The diverse peoples herein are not much more than colour-coded stick figures, but the sterling design work that’s gone into them lends them an incredible amount of character. I’ve got no idea what April actually looks like, but I still have an incredibly clear image of her somehow, like you might get from a good stage actor watched from the cheap seats. I’m haemorrhaging column inches here and I haven’t even told you about the story. In short, there are two worlds: science world and magic world. We live in science world, unless you happen to be a witch or an Amish. A couple of hundred years from now, April Ryan is having visions of the magic world in her dreams and shortly thereafter discovers she is one of very few people with the ability to cross between the two realities. 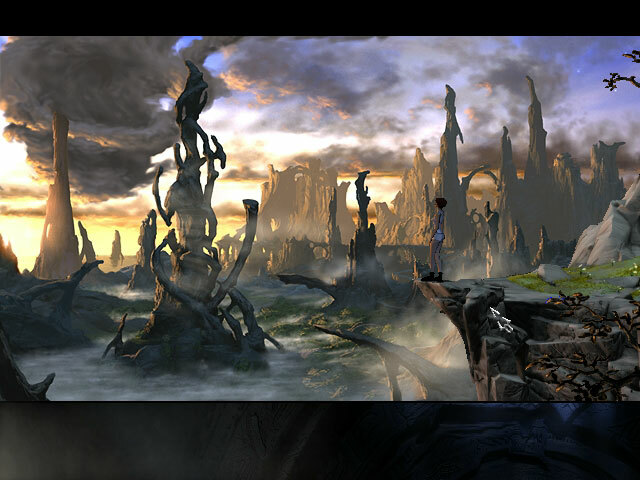 Both of these worlds are brilliant. You’ll realise this when you first step over from Stark (flying cars and laser heroin) into Arcadia (dragons and wicker) and feel really disappointed that you have to leave. You’re going to miss this dirty old place, and there was so much left to see. A couple of hours later, when you’re next able to hop back across the divide to April’s world, you feel the exact same sense of loss because you had settled into the equally brilliant parallel computer game happening in Arcadia. This feeling will repeat itself a few more times over the next several hours until the credits roll, at which point you’ll feel a deep ache usually reserved for the moment a plane carrying a loved one winks out of sight over the horizon. Who am I trying to kid? Go home, Tom, you drove your shiny red wagon into the ditch and now you’re crying, not because of the graze on your knee, but because deep down you know this is all your fault. You bit off more than you could chew and now you’re choking to death because you tried to swallow it whole. The problem is that the game gives itself a better introduction that I could ever manage. Two young people are sitting with an old woman in front of a fireplace in a log cabin, begging her to tell them a story on the cold wintry night. “Tell us the story of the Balance,” one pleads. The old lady replies, “That’s a long story, and not one I’d venture to tell at this hour.” Straight away you know you’re not getting the grandest story on offer. April is one thread in an immense tapestry of gods and monsters, an ordinary girl flung by circumstance into a larger story she doesn’t completely understand. It’s a story which takes place in dark alleyways, modest apartment blocks, tiny cafés and muddy country lanes. Doesn’t that sound like a lot more fun? 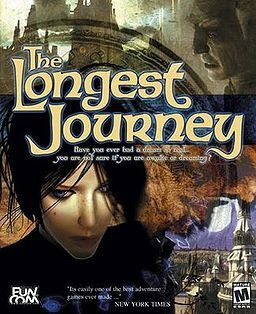 Even if I can’t adequately sum up just what is so important about The Longest Journey, I can tell you that it’s on sale at GOG.com for the wisest ten dollars you’ll ever spend. Tom Crowley is a writer, director, performer and rank sentimentalist. 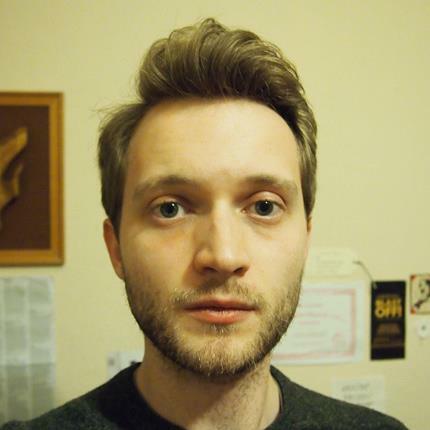 He’s part of sketch group @sadfacescomedy and is currently training as a theatre director at the King’s Head, Islington. Follow him on twitter!